Since I occasionally post about freebies and samples, I like to post the ones that I received so that I can take note of ones that don’t seem to come since I do share them with you all. I found this is easier to do when I do this once a month instead of once a week. Green Mountain Hazelnut Iced Coffee (for Keurig Brewers) – this was a facebook offer and is no longer live. I received a box of 4 K-Cups! Like them on facebook to keep up with any of their other offers and samples! Febreze Set & Refresh – This was also a facebook offer and is no longer live. I love this thing! Follow Febreze on facebook to keep up with their offers and samples! Tide Pods – This was a “try and tell” from Vocalpoint members but I didn’t get a chance to post it here which is why there isn’t a link. Schick Hydro Silk Razor – This was a Walmart freebie and is no longer live. These went very quick when I posted about it! Shout Color Catcher – I found this one on their website and it is also no longer live. 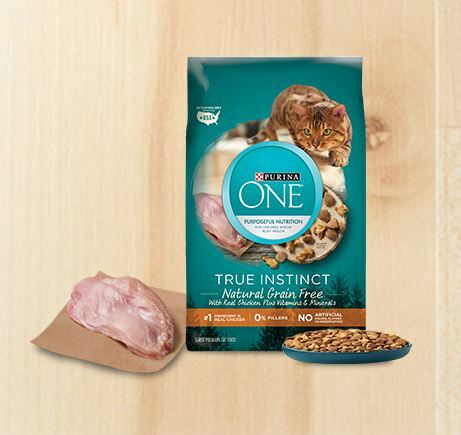 Friskies Party Mix – This was a facebook offer on the Friskies page “Ending cat boredom” and it also came with a toy to fold and put together to hide some treats inside. This one is no longer live. This freebie was a full size pouch too! This one went really fast and I didn’t have time to post however, I did share it on my own facebook page. 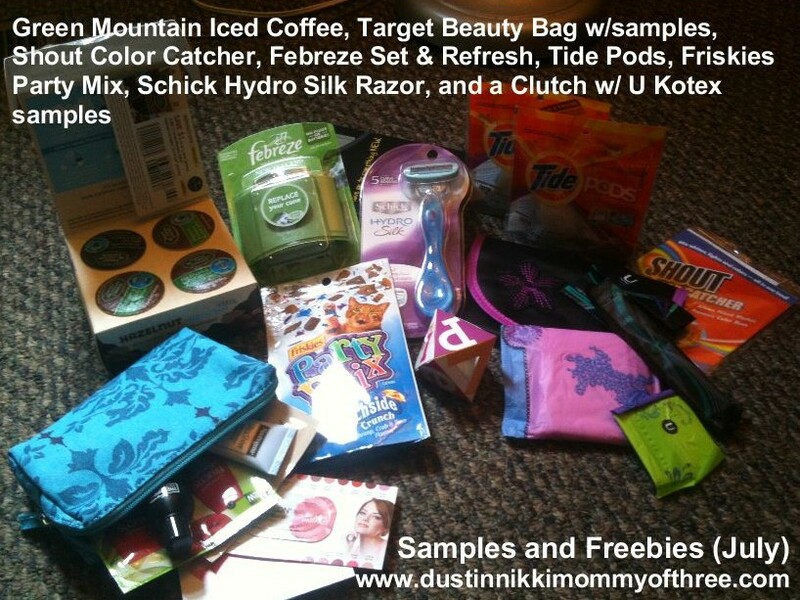 Clutch with U Kotex Samples – This adorable clutch is another Walmart freebie and it came with some U Kotex samples! 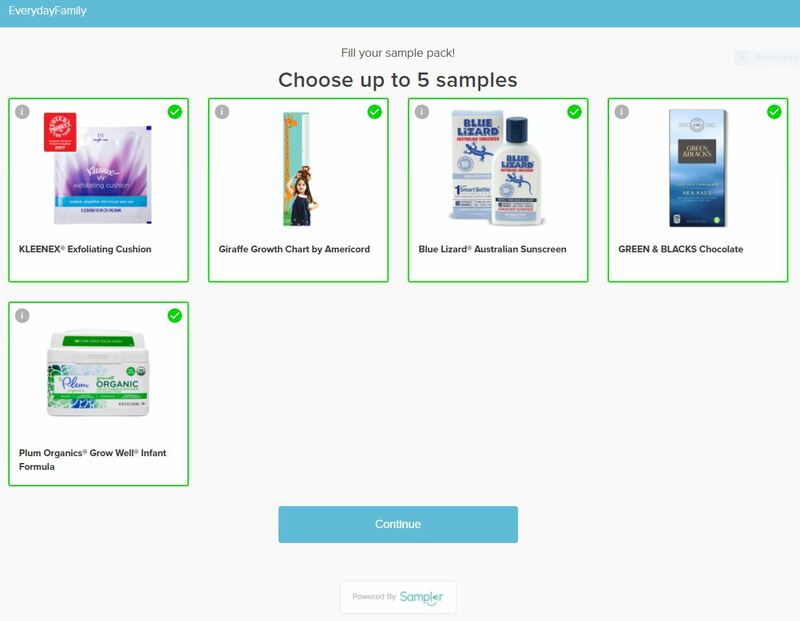 This one is no longer live but make sure you check back with Walmart because they always have new samples and freebies all the time! Target Summer Beauty Bag – This was also a Target facebook offer and I have seen them giveaway these beauty bags a few times so keep a watch out for them. You never know when they will do them again! This particular beauty bag is no longer live. Inside was filled with samples that included Garnier Fructis Color Shield Shampoo and Conditioner (packets), Aveeno Active Naturals Shampoo and Conditioner (packets), Revlon ColorBurst Lip Butter, TRESemme Split Remedy (travel size), Neutrogena Ultra Sheer Sunblock (travel size), and a Target coupon book! And of course they all came in an adorable blue zip up bag! Disclaimer: This is not a paid or sponsored post. I only post about freebies or samples that I usually sign up for myself but I can’t always guarantee them. This is why I like to post the ones that I have received after sharing and posting them. Always sign up for any free offers at your own responsibility.